Tohatsu is Japan’s oldest outboard manufacturer. Tohatsu’s first outboard engine was built in 1956, and from the beginning were found on the belief of building an engine that is dependable and adaptable to different uses. Over the last 60 years the outboards have served a variety of different industries including rafting on the Colorado River, commercial fishing, marine transport, competition, and recreation. To keep up with the competition and customer demands, products have been developed and researched with know-how and advanced technology. Tohatsu built its first 4-stroke engine in 1998, its first TLDI(Two-Stroke, Low Presser, Direct, Injection) clean burning two stroke engine in 2000, and introduced the Everrun series aimed at commercial industries in 2011. Tohatsu was the first to offer a battery-less EFI system in the 30 HP that provides quick throttle response and very smooth rides on the water. This is the engine that Colorado River & Trail Expeditions uses on the Colorado River in Grand Canyon. Prior to manufacturing outboards “Takata Motor Research Institute,” which was founded in 1922 built train carriages, high-speed portable engine generators, motorcycles, and radio controlled generators. Tohatsu Marine Corporation was set up in 1988 as joint venture with Brunswick Corporation, USA. Mercury Marine is a division of Brunswick Corporation and many of the smaller Mercury Outboards are just rebranded Tohatsu Engines. In addition, the entire line of Nissan outboards are rebranded Tohatsus. More recently Evinrude/Bombardier released a press release saying that they would be rebranding small Tohatsu engines for their line, and Tohatsu has begun using larger Honda outboards(60, 75, 90, 115, 150, 200, 225 and 250 hp models) to fill out their line-up. All in all Tohatsu seems to have a pretty amazing line of engines. Tohatsu Outboard Engine on raft. Tohatsu’s USA headquarters is located in Carrollton, Texas, a suburb of Dallas. All of Tohatsu’s outboard engines are produced in Japan. A new state of the art warehouse was built in central Japan in 2005 that has 370,000 square feet of space and a production capacity of over 200,000 outboards per year. 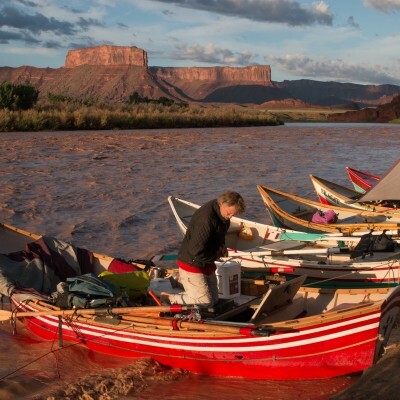 Colorado River & Trail Expeditions was the first to use the Tohatsu four stroke 30 hp outboard engine for rafting the Grand Canyon in 2002. 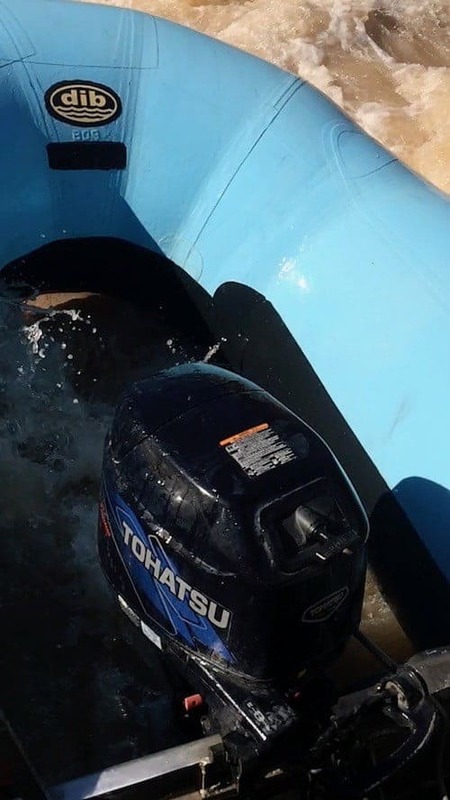 We have been impressed with the Tohatsu from that first trip and continue to utilize the Tohatsu 30 hp which over time has evolved from a carbureted model to an electronic fuel injected model or EFI. The 30 HP weighs about 158 lbs in its basic form which is very competitive with Honda and other manufacturers. The engine does a great job in the rapids and heat of Grand Canyon and very rarely has been swapped out for the spare because of a mechanical problem. 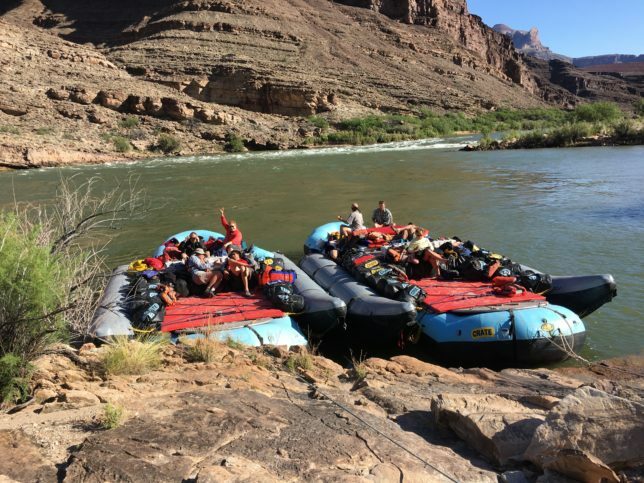 Two Boats down in the bottom of the Grand Canyon facilitating a quick loop hike between Escalante and 75 mile canyons. Posted December 11, 2017 by Crate Inc.